The file Doom Slayer Chronicles v.1.0 is a modification for Doom II: Hell on Earth, a(n) action game. Download for free. 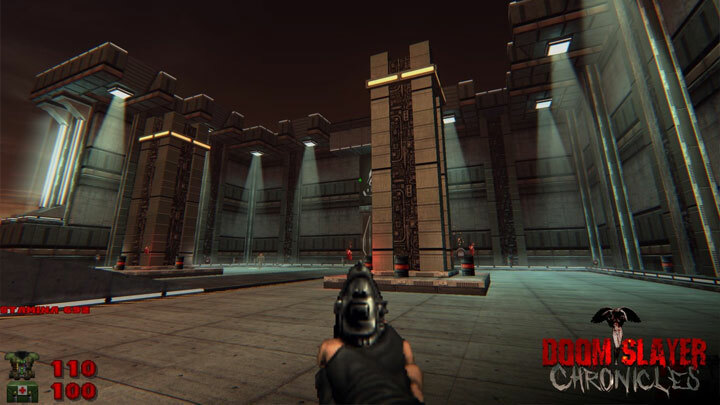 Doom Slayer Chronicles is a mod for Doom II, created by Bifurcator & Black Edition Team. - maximum available graphics quality. DSC uses absolutely all the technologies available in gzdoom. Development is carried out on the test builds of the engine and at any time synchronized with the new features of future versions. The developers guarantee that at the time of release - DSC will use absolutely all the graphical features of GZdoom. For ease of launch, DSC package will contain the latest 32/64 bit versions of GZdoom. - elastic, mod-friendly gameplay with an automatic increase if difficulty and some RPG elements. DSC uses a dynamic system of monsters and items spawn on the map, which depends on the overall progress in each episode of the game. DSC is designed in such a way that any mod that works adequately on the original doom2 cards will work correctly in DSC as well. The DSC uses a rank system. There are achievements which depend on the number of murders committed by the player throughout the game and add some additional ability according to your current rank. Each map of each episode can be played any number of times - without starting the game from begin. Each time you play any map you will receive a different set of monsters. Each time harder and more. At the same time you will receive new ranks with their abilities. Each time receiving a larger number of enemies you have will be the appropriate enhance to deal with them. Just extract the archive and put .wad file from the game into mod’s folder. Then launch one of the .bat files.